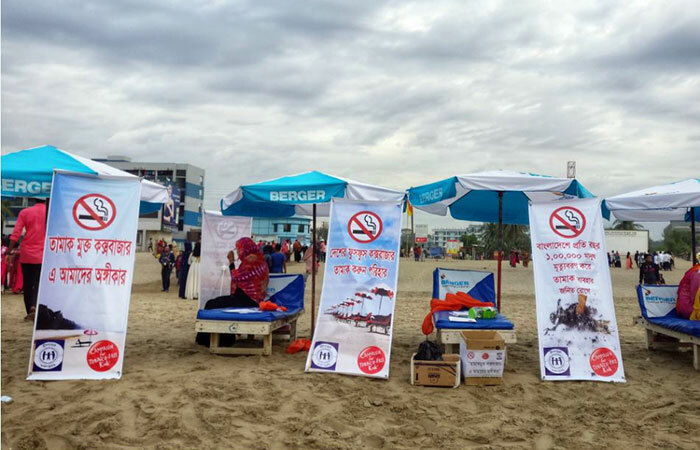 YPSA arranged a beach campaign on “Tobacco free Cox’s Bazar” on 31st December at Cox’s Bazar sea beach to create mass awareness for keeping the sea beach smoke free, for creating public support and popularizing the concept of “Tobacco Free Cox’s Bazar city”. 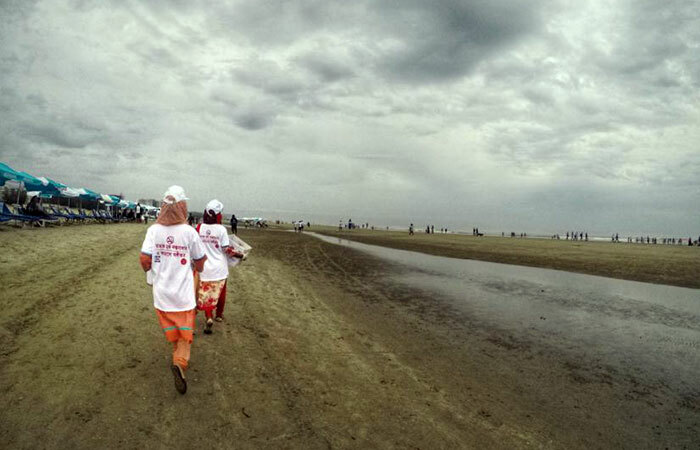 The youth volunteers team consists of 20 members of YPSA involved with the campaign. They collected buds of cigarettes/Biri from the sea beach. 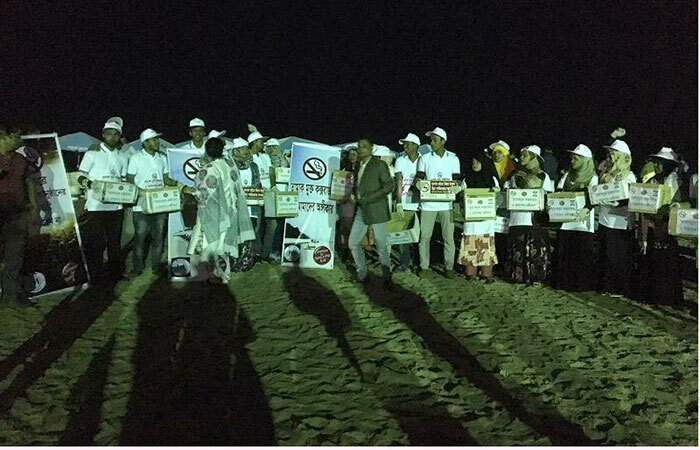 They also requested the smokers (who were smoking during campaign) not to smoke at beach and throw their cigarettes/Biri in the dustbin and after leaving their cigarettes/Biri youths greet them with a chocolate. 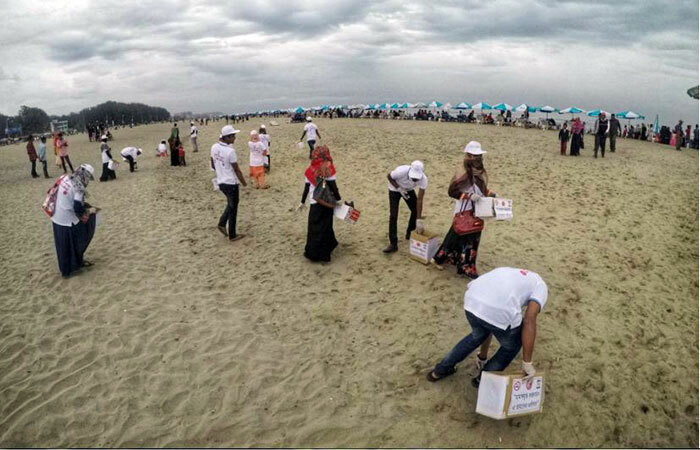 The campaign created a huge attention to the tourists of the sea beach. 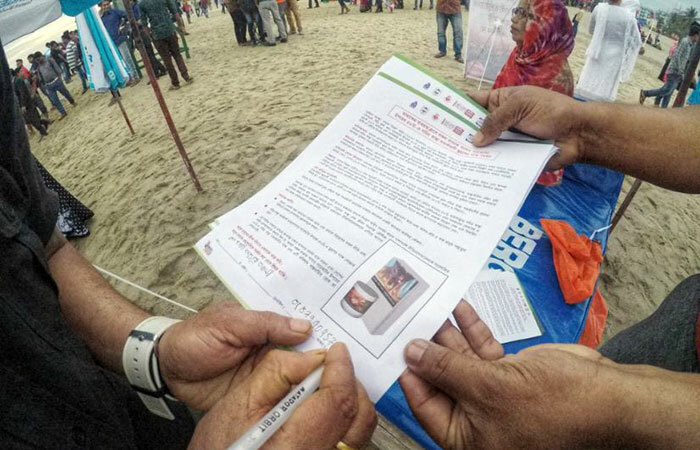 Besides the youth volunteers and YPSA jointly collected signs for the petition to support graphical health warning on 50% of upper side of all tobacco packs from the tourists in Cox’s Bazar sea beach. 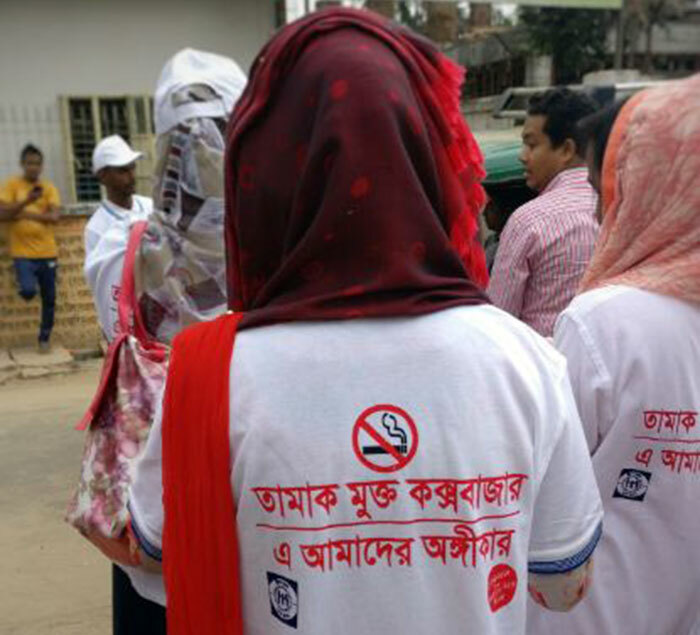 Dr. Mahfuzur Rahman Bhuyan, Grant Manager of CTFK, Mr. Ataur Rahman Masud, Program Officer, CTFK, Mr. Riasat Razi Ullah, Media Manager of CTFK and YPSA’s Tobacco control team members were present in the campaign.